I'm sorry for being so MIA lately. I've just moved and it's been quite a chore. The results are well worth it, though. 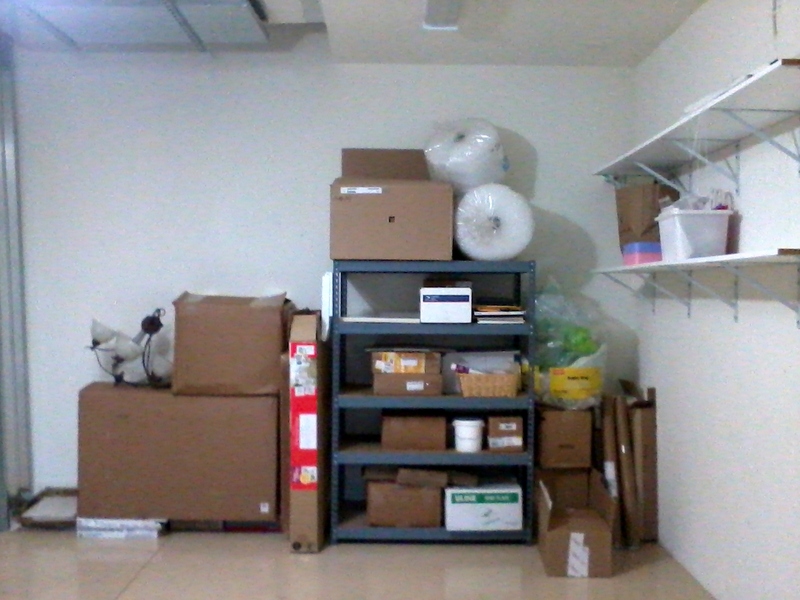 I love my new digs and this is my shipping storage area. It's organized and everything's visible and accessible. I am a happy camper. Trying to keep on top of my business and shipping orders while moving all of my earthly goods required some juggling and some healthy snacks to fuel me. 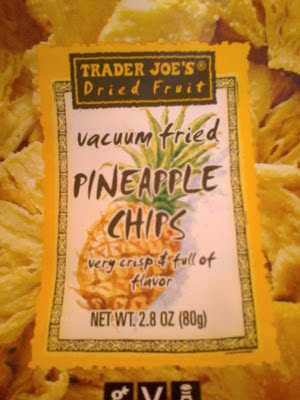 These Trader Joe's pineapple chips are my new fave. 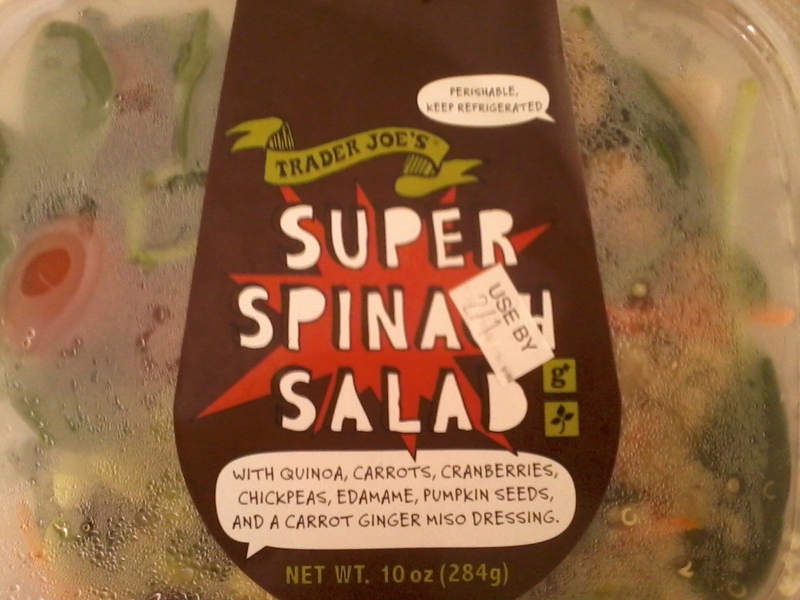 Once again, Trader Joe's comes through. Have I mentioned that I love that place?? In the midst of my moving insanity, a local reader of my blog got in touch because she wanted to buy my Veranda magazine stash. When we met for the magazine drop-off, she surprised me with this because she had read that these salads were my favorite. Can you believe how thoughtful this lady is?? It really made my day - thanks so much, Irene! One of those instances where you are reminded of how refreshing it can be to meet a truly nice person and what a joy blogging can be when you are able to interact with readers and fellow bloggers. Well, that's a short update and I will try to catch up on commenting & posting fresh content very soon. Thank you all for your patience & loyal support. You guys are the best! Glad you survived the move. I need to send you some chocolate covered pomegranates. So lad you are getting settled...such a good feeling to have everything organized! 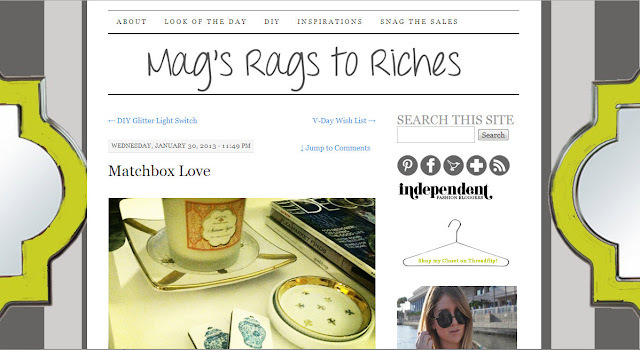 Just popped over to Mag's Rags to Riches blog and spotted your matchboxes - they are so cute and original. Enjoy the journey! It is well know that when things get stuck and you move or clear out "stuff" you are open to more good...organization keeps the mind clear. Best of luck in you new location.